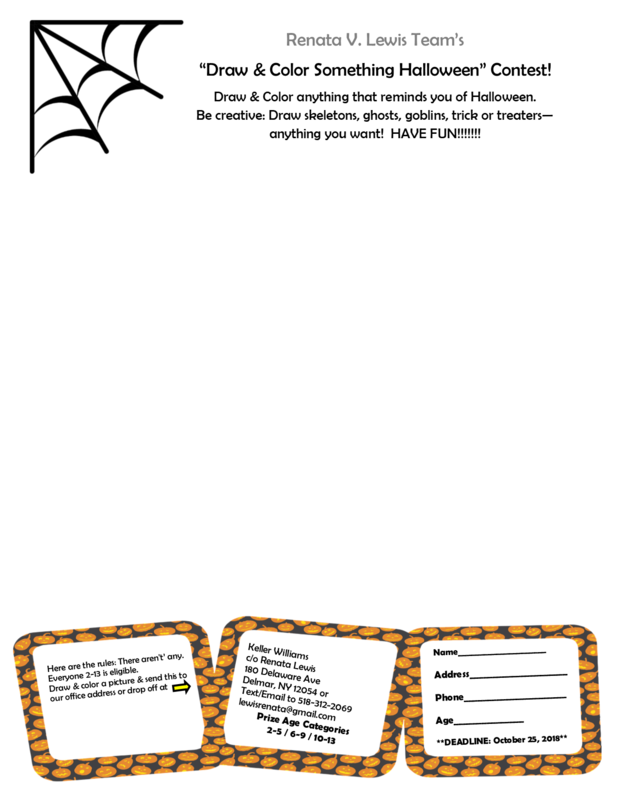 Draw & color anything Halloween – can be scary or fun ! Enter the with the attached form to win. (You can pickup a coloring page at the KW office in Delmar or email me and I’ll send you one. * Everyone will receive a small prize so they are all winners !!! @ 180 Delaware Ave, Delmar, NY 12054.